Earlier this week I described an ideal scenario where Windows 7 was ready for release this summer. While a few made fun of one of my spelling errors I only had one person who asked if I really thought it could happen. So what do I really think? I need to tell you today because tomorrow I’ll be participating in a four day Microsoft Most Valuable Professional Summit which includes a strict Non-Disclosure agreement. That means, most of what Microsoft tells me I can’t share with my readers. I agree with Harry and the Seattle Times that we’ll start to see Windows 7 machines in October ready for the holiday shopping season. Still, Microsoft won’t want students purchasing Macs when they go back to school so you can bet we’ll see manufacturers offering, “Free Upgrade to Windows 7” after purchase. While I shudder at the thought there will also be machines that are “Windows 7 Certified” for the back to school shoppers. I don’t expect it to be the same fiasco that occured with the Vista Certified machines but we’ll see. When I first read that the next release of Windows 7 was going to be a “release candidate” my reaction was to shout obscenities at my computer screen. I’ve been part of many Window beta tests in the past but Microsoft really seems to be rushing the release of the newest Windows. I really want Windows 7 to be a success and the thought of a quick beta cycle scares me. After reading more including Ed Bott’s “Who Needs Another Windows 7 beta”, I have reversed my opinion. I don’t agree completely with everything Ed says but he got me thinking. Right now Windows 7 has momentum. The press and bloggers so far on Win7 has been extremely positive. The performance provided by Windows 7 has been surprising. The longer a beta the higher the expectations and some of the current excitement will fade. Every new beta release is a distraction to developers. The time it takes to create a frozen version takes away from a developers imagination and productivity. I’ve worked at Microsoft and I accomplished a lot more when I was sitting in my office all day then I did sitting in meetings or running focus groups. The internal testing required before any public beta is a lot longer than you might think. Anyone who reads Bits From Bill knows I think AutoUpdates are evil. Unfortunately, they’ve become a fact of life. Microsoft has determined Auto Updates are part of the equation and has perfected the procedure as much as technically possible. 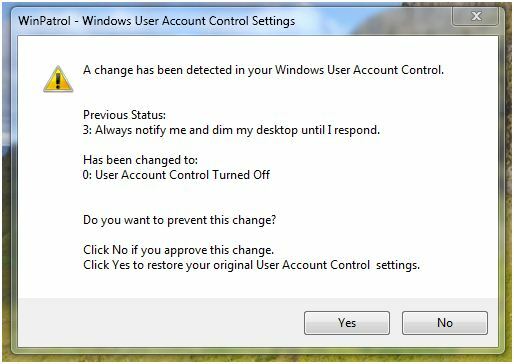 While there are plenty of new features in Windows 7, there’s a reasonable chance if a program is compatible with Vista, it will work okay on Windows 7. 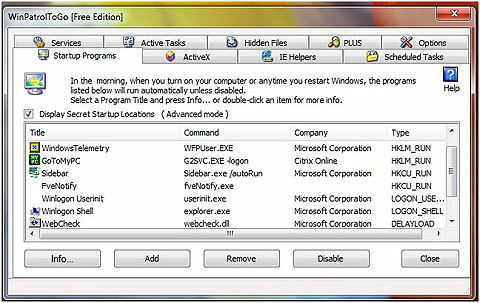 There are many new features a program can take advantage of but under the hood Windows 7 is still a new version of Vista. If they really want to push it, the next big computer sales period is the end of summer when parents and students are shopping. Vista’s current reputation may encourage more Mac purchases for kids going off to school. If there’s a release candidate in April, like currently being reported, that might allow a final OEM product being available by early summer. That would also be a huge boost for student computer sales and certainly help Microsoft’s bottom line. One of the reasons Windows will generate new computer sales is because there currently is no upgrade path from Windows XP. If you have Windows XP you’ll need to install Windows 7 by reformatting from scratch. Microsoft has posted a list of new changes for the upcoming Release Candidate. My thanks to everyone who has participated in the beta test of the newest WinPatrol. I’ve heard a lot of good comments and one suggestion was so valuable I couldn’t wait for a future release to make it available. Available today is the last beta of what will become WinPatrol 2009. If you’re like to participate you can download beta 4 at http://www.winpatrol.com/beta16.html. The latest WinPatrol feature is so simple I can’t believe nobody has thought of it before. One of WinPatrol’s unique features is to keep track of when a program, service, hidden file or registry entry was first detected on your machine. When any kind of infection occurs all its related files will show up as recent additions to your system. WinPatrol 2009 includes a new single list that sorts critical files and entries by their date detected. There’s a really good chance any new malware files will show up at the top of this list. In the past months I’ve had a number of friends and family members bring me their laptops to clean up malware. If I had a Recent list at the time I probably could have helped them over the phone. This should be the last beta version so if you’d like to participate I would love to hear from you. Next week I’ll be in Redmond blogging from Microsoft’s Most Valuable Professional Summit. I hope to announce our official launch soon after I return. Adobe Gets Sloppy and You're at Risk. Do you remember a time when you knew your personal computer was safe from infiltration? There was a time when the only danger was from inserting a strange floppy disk. Nowadays, if you’re connected to the Internet every day brings a new threat. This week’s big vulnerability announcement comes from Adobe and affects their Acrobat and Adobe Reader programs. “This vulnerability would cause the application to crash and could potentially allow an attacker to take control of the affected system. There are reports that this issue is being exploited. There are reports that this issue is being exploited. Adobe is planning to release updates to Adobe Reader and Acrobat to resolve the relevant security issue. Adobe expects to make available an update for Adobe Reader 9 and Acrobat 9 by March 11th, 2009"
Now, I’m a Adobe user and aside from their overzealous startup habits I’m a fan of Photoshop and the universal PDF format. Still, I’m having a hard time understanding how anyone could still release any code that is vulnerable to a buffer overflow attack. The technology and programming libraries exist so that only a programmer from the dark ages should allow this kind of behavior. I don’t claim to be a perfect programmer but a company as big as Adobe should have a whole crew implementing best practices for their development team. This is incredibly sloppy and I just don’t get it. To make matters even worse, Adobe provides no guidance as how to prevent attacks. My advice is to disable any Adobe reader on your system. If you’re a WinPatrol user, click on the ActiveX tab and sort by company name to find your Adobe components. Select the Acrobat reader and click on Disable. It may also be a time to replace your default PDF file reader with a new one. I’m sure some of my readers can comment on what they find is the best alternate for Acrobat so stop back for more information. Are you the “Computer Guy” or “Girl” in your family? Do your friends and family call you when their computer needs serious help? Would you like to increase the performance of their computer? Do you want to be the hero of your friends and family? Do you own what’s called Pen Drive, USB Drive, Jump or Thumb drive? If you answered yes to any of those statements than WinPatrolToGo is for you. This single .exe file can be downloaded or copied to a thumb drive or other portable flash devices. Run it directly from your portable drive on anyones machine to help analyze and improve their performance. No need to install any files or uninstall following use. While you’re able to modify system settings on the target machine no WinPatrolToGo files will be left over. WinPatrolToGo is FREE. You’re welcome to use WinPatrolToGo as long as you like. 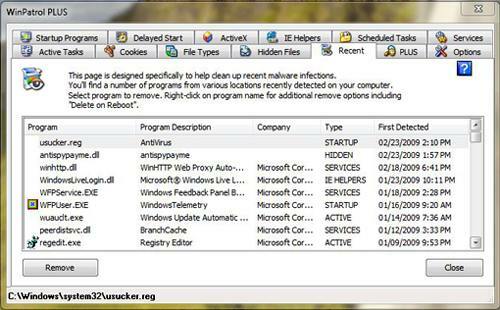 Additional information on files can be obtained by upgrading to WinPatrol PLUS. Current WinPatrol PLUS customers may transfer their current PLUS code to WinPatrolToGo and store on their portable drive, no additional charge. Are you getting tired yet of the term Social Media or Web 2.0? Have your friends convinced you to join Facebook, LinkedIn, Twitter or some other social networking site? The truth of the matter is that Social Networking is a giant ponzi scheme. When you first join a social network you start with only a few friends. It could only be your only friend is the one who convinced you to join. The network typically has no real value until you add more friends and invite them to join. Many networks will try to harvest your entire contact list in an effort to increase its membership. So, you Email your friends and family and there’s a new layer of friends supporting the pyramid and the cycle begins again for them. Soon, you reap the benefits of “Friend of a Friend” and the network begins to have value. As long as there are new users to join the network will be a success. I don’t know if this is the year we’ll peak with social networks but they’re certainly hot. According to Pew Internet & American Life Project, 11% of online American adults are now using Twitter. I’m not sure what defines an “online American” but I know I’m one of them. I mentioned before that I am “Twitterpated” and you can follow me at http://twitter.com/BillP. I also have a WinPatrol information feed at http://twitter.com/WinPatrol that currently has 75 followers. You’ll me on LinkedIn, Facebook and you can read why people love WinPatrol on my Fans of WinPatrol page. It’s only been active a couple weeks and we already have 143 members. Click below to join. You don’t have to be a member or participate on Twitter to benefit from its huge network of Tweeters. Search.twitter.com has become the Google of real-time and current information. Most news organizations are using Twitter to research stories. When US Airways flight 1549 splashed down in the Hudson I heard it first on Twitter. While on board a ferry racing to the scene, @jkrunms shared a photo taken by his phone via Twitter. Before ABC announced this years line up for Dancing with the Stars, I already had the list from folks on Twitter. It takes Google some time to index the world wide web so if you need immediate info I recommend adding Search.twitter.com to your favorite places. As Phil Collins sang, You follow me, and I’ll follow you or was it the other way around? Has your computer been infected recently? Last month I wrote about the Conflicker Infection that has been the topic of many security experts. Anyone who received an update patch from Microsoft last fall should be safe but apparently, plenty of people aren’t updating regularly. Microsoft has recognized this infection is still around and has provided a fix along with additional information at http://www.microsoft.com/protect/computer/viruses/worms/conficker.mspx Thanks to Brett Roberts in Auckland, New Zealand for the tip. The French publisher Libération has reported the Conficker worm disrupted computers used by the Ministry of Defense in France and grounded the Navy's Dassault Rafale aircraft. Last Friday the City of Houston Courts System had been infected and shut itself down for the day. While they expect the court system to be up and running on Monday, many expect to find Conficker popping up on other city systems. While I typically recommend waiting a week or so for Microsoft’s Windows Updates, this is one update too many people missed. Update 2/10: Reports out of Houston now indicate the city's infection was in fact W32/Virut.n a variant of the virus Virut. This is contrary to news stories still being filed. The city had been using antivirus software from McAfee which did not include a signature file for this infection. Total down time was 4 days. PC World reports, OpenDNS has partnered with our comrades at Kaspersky to obtain updated lists of malicious IP addesses. Update 2/12: To show how serious they think Conficker is, Microsoft has announced a $250,000 reward towards the arrest and conviction of the folks responsible for this virus. Microsoft has announced the various flavors of Windows 7. As I had hoped Microsoft tried to reduce the confusion and say they will be concentrating most on their Home Premium and Ultimate versions. Apparently there will still be six official SKU’s which isn’t much of a reduction. There’s no word yet on price but I suspect the Windows 7 Starter will be the under $100 USD version. I’m very surprised at a restriction of “3 concurrent applications” and anxious to find out how that works. My first question to Microsoft is “Do programs like WinPatrol monitoring your system count as one application”? I suspect this feature will be getting a lot more attention in the press this week. Microsoft said I can share the following information starting Feb 3 at noon PST. DirectAccess provides seamless connectivity to your corporate network.